YOUR SOURCE FOR CUSTOM EMBROIDERED BEANIES IN NEBRASKA AND BEYOND. 6 PIECE MINIMUm on all embroidery orders. 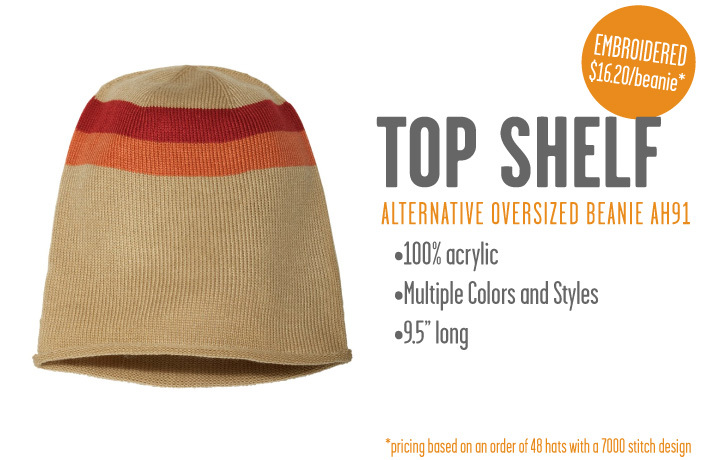 Click through the gallery of our favorite garments to find a Beanie that fits! FILL OUT OUR NIFTY FORM BELOW TO GET A QUOTE FOR YOUR head warmers! Our typical turnaround is approximately 10 business days. we also offer rush ordering. See slideshow above with our recommendations or view our full catalog for more options. Our minimum for embroidery is 6 BUT remember there is savings with increased quantities. To learn about our artwork fees. Check our F.A.Q. in "The Basics" tab at the top of your screen. I have artwork that is already digitized. I need to have my art/logo digitized. I have nothing and need your help with a design. Any other details about your beanie order? 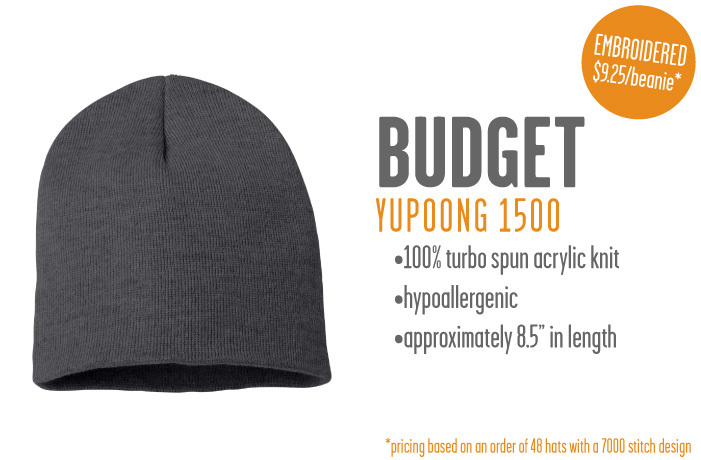 In order to provide accurate pricing, we absolutely have to have a beanie style and quantity. If you haven't included this information please provide details to help us try and get you a window of pricing.